Super gentle on your baby’s head and hair. But not just on baby’s head this feels amazing. It’s a great cuddly feeling on the whole body when baby is just starting to discover his or her own self. 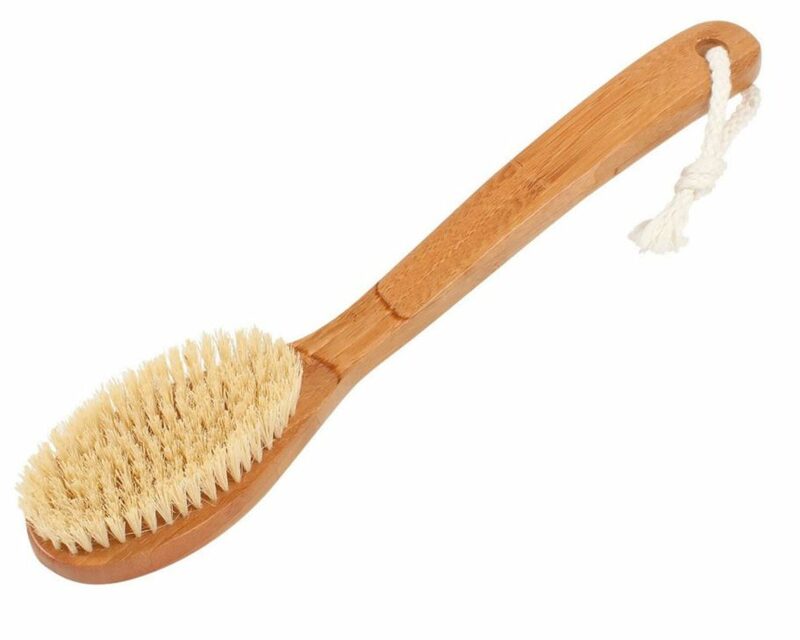 The bristles are soft goat’s hair. Give yourself a good scrub! Or maybe someone else..? scrub not only for cleansing but also for enhancing the blood circulation. 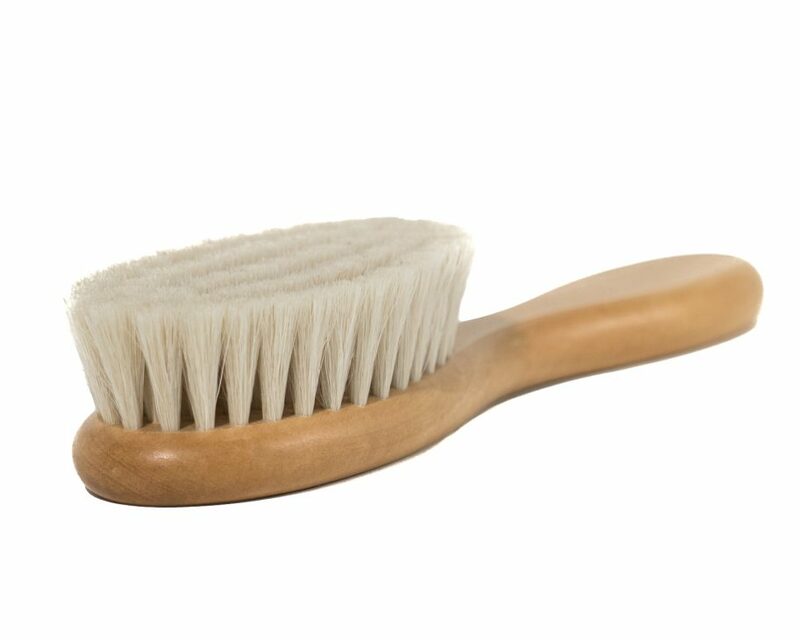 Entirely vegan (including the bristles)! 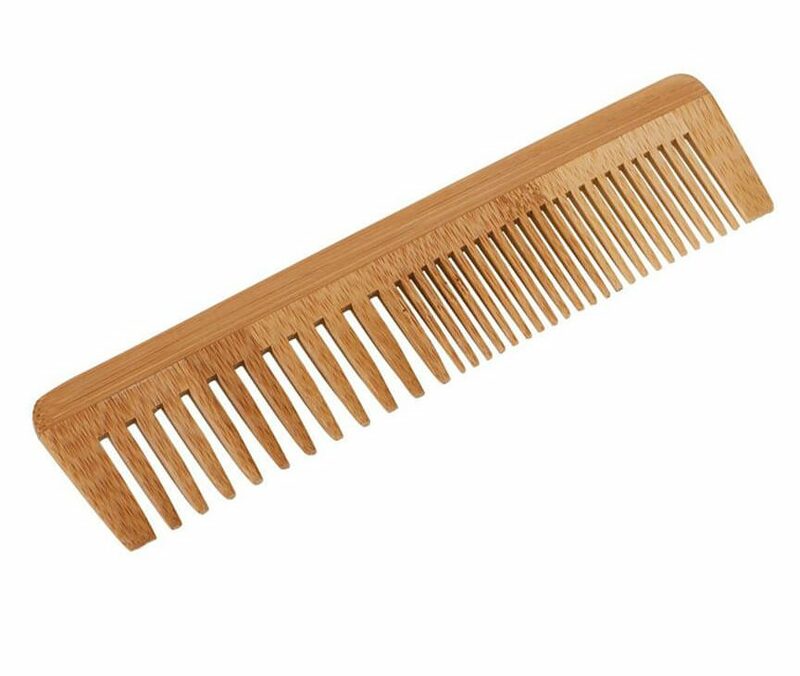 Sturdy comb made from bamboo. 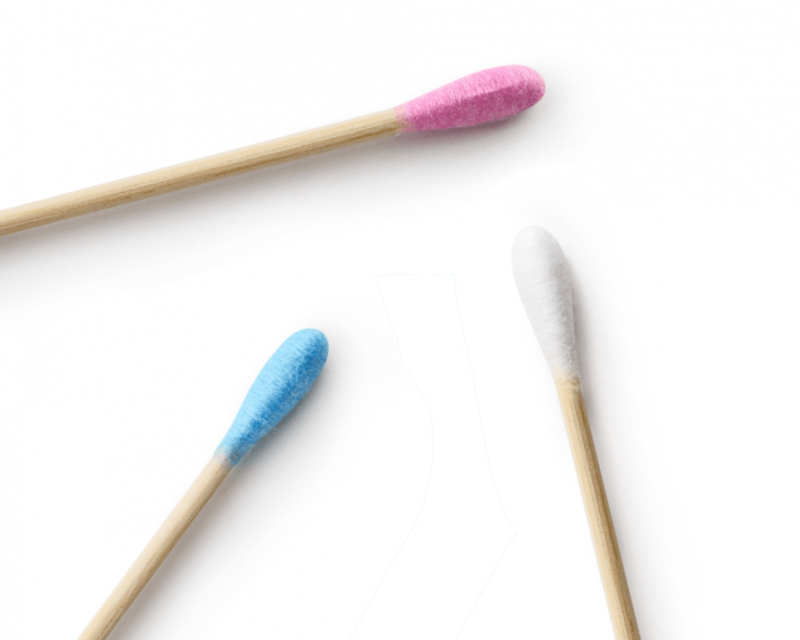 Cotton swabs with a handle made from 100% biodegradable, sustainably-grown bamboo. Organic cotton with natural coloring on the ends. 100 pcs of swab per pack. 432 Handkerchiefs! Folded, in a recycled cardboard box, no foil, no plastic at all. 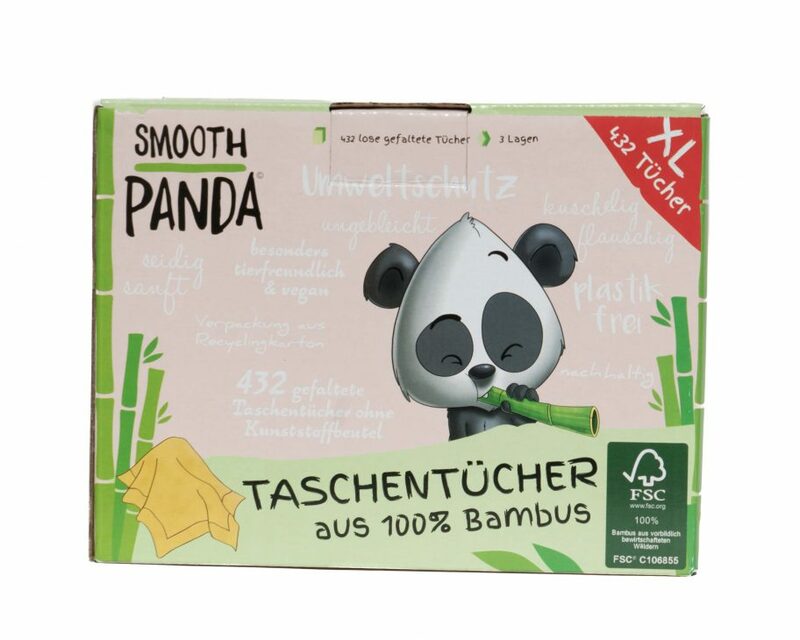 Plastic free, vegan, not bleached and super soft: Smooth Panda Bamboo Handkerchiefs. With those and the handy metal box (scroll down till handkerchief box for details) you’re good for any cold that comes your way. Bamboo is a true super plant: Not a tree but a grass. It grows super quickly (compared to trees) and once the bamboo shoots are cut, they regrow, the plant lives on. No chemicals and pesticides are needed for the bamboo plants. 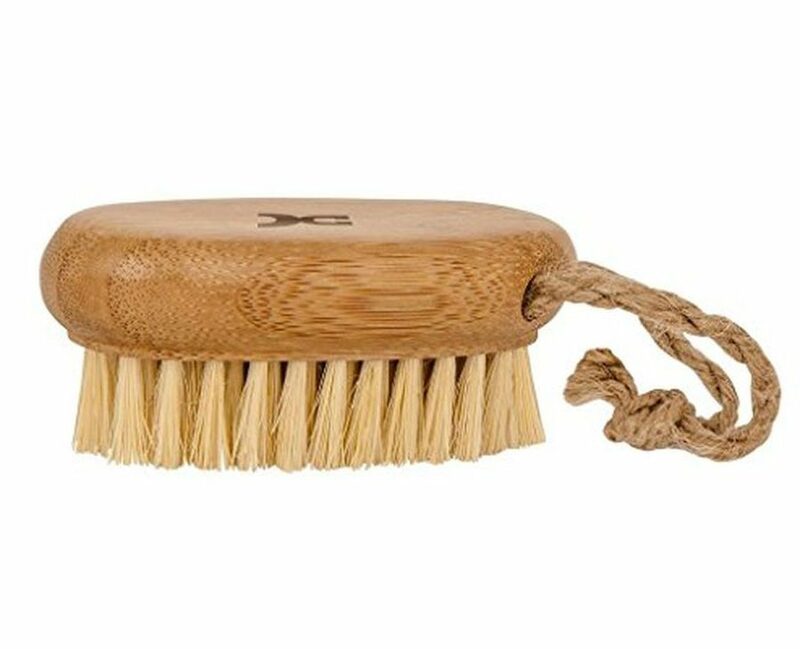 This small nail brush is a great helper when it comes to garden hands and nails. Or the soles of bare feet after a stroll. 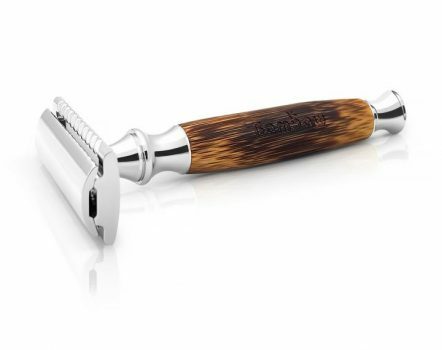 The handle is made from bamboo and the bristles from coconut. Now get your hands dirty! 8 rolls with 200 sheets, 3 ply, tear-resistant and very absorbent and super soft! 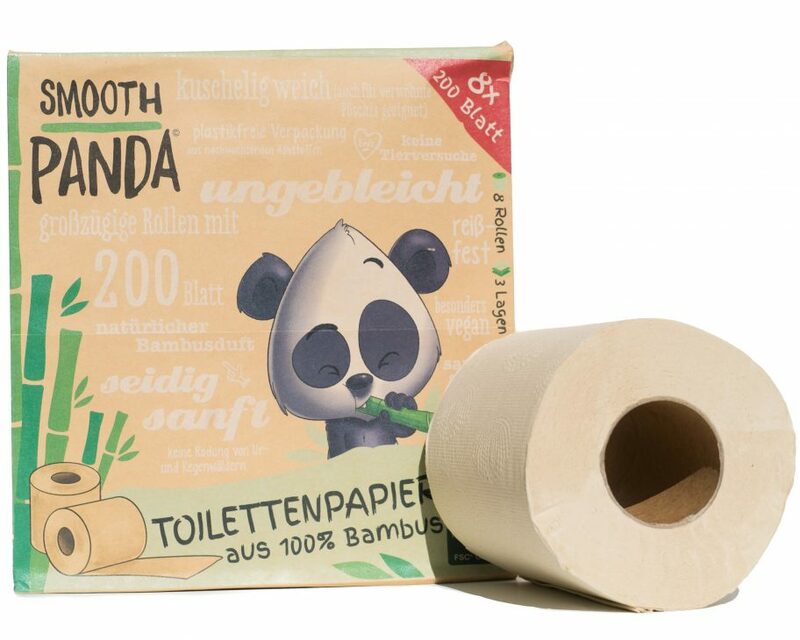 Plastic free, vegan, not bleached and super soft: Smooth Panda Bamboo Toilet Paper. 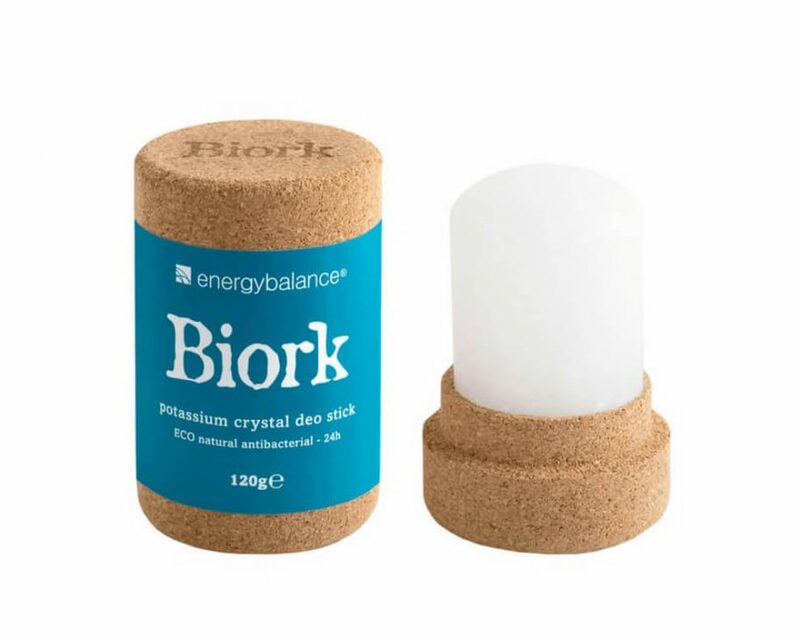 Biork provides twenty-four hours of effective protection against sweat odor. 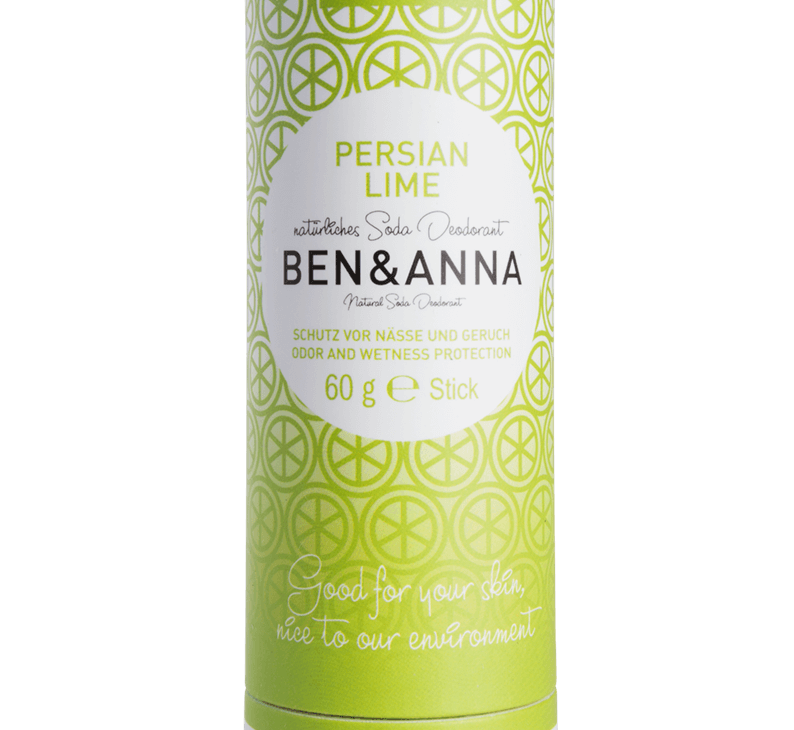 This Mineral Deodorant is fragrance-neutral and can therefore be combined with any perfume. It also leaves no trace on clothing or skin. Lasts a year or longer! Fresh scent completely without perfumes. 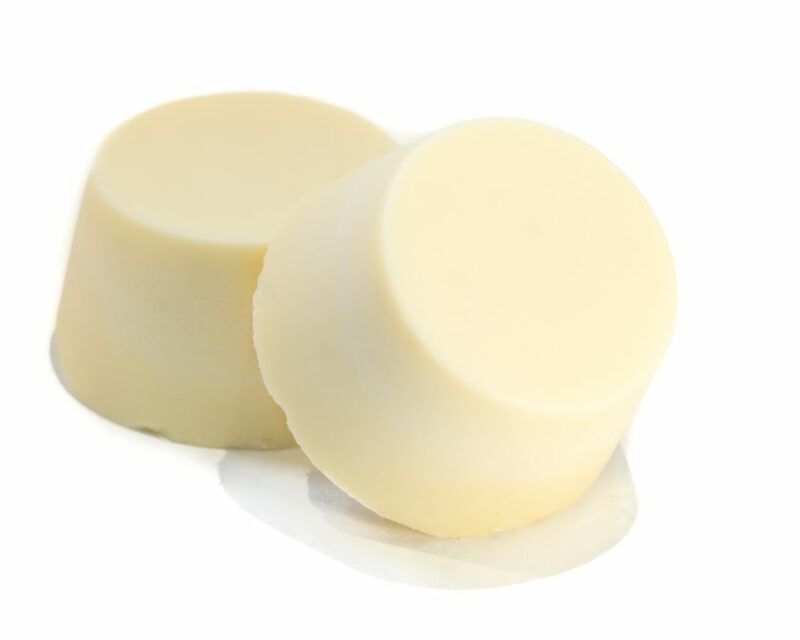 With just two natural ingredients this body butter is perfect for all skin types including sensitive and allergic. Good for women, men and children! Transparent condoms made from Fairtrade natural latex. Instead of toothpaste in plastic tubs, use these fantastic toothtabs with fluoride from dentTabs. They leave your teeth with an extra smooth and clean feeling. 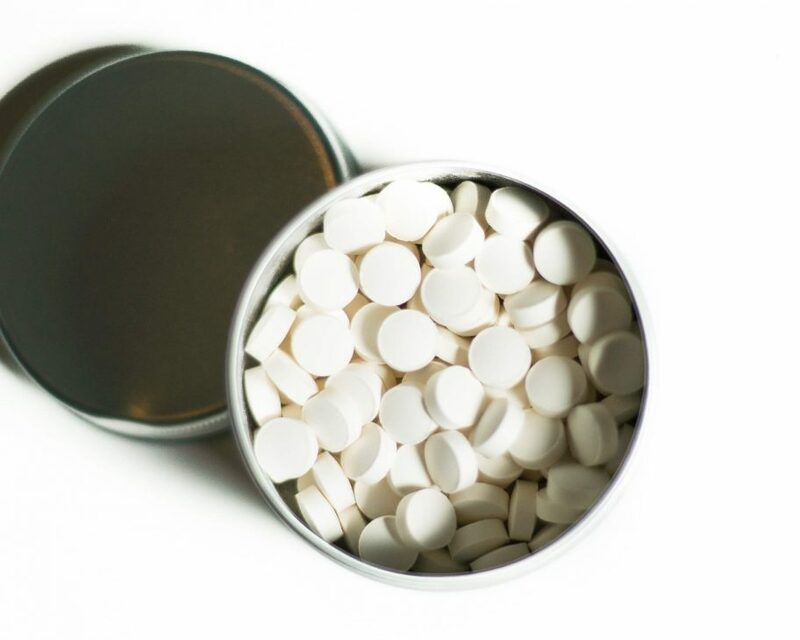 They are great for sensitive and damaged teeth too as they help remineralize. 40 grams is enough for 1 person for 2 months (somewhere around 125 tabs). This is the version WITH fluoride. If you’re looking for the version WITHOUT fluoride, click here. 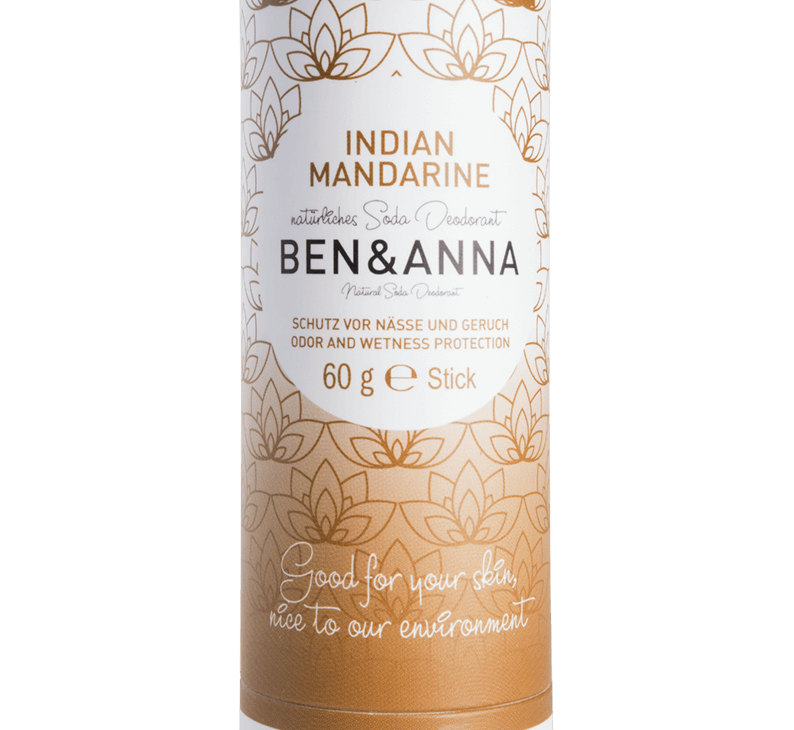 Ben & Anna’s deodorant with a fragrance that embodies the sensuality and charm of India. perfectly to captivate your senses. 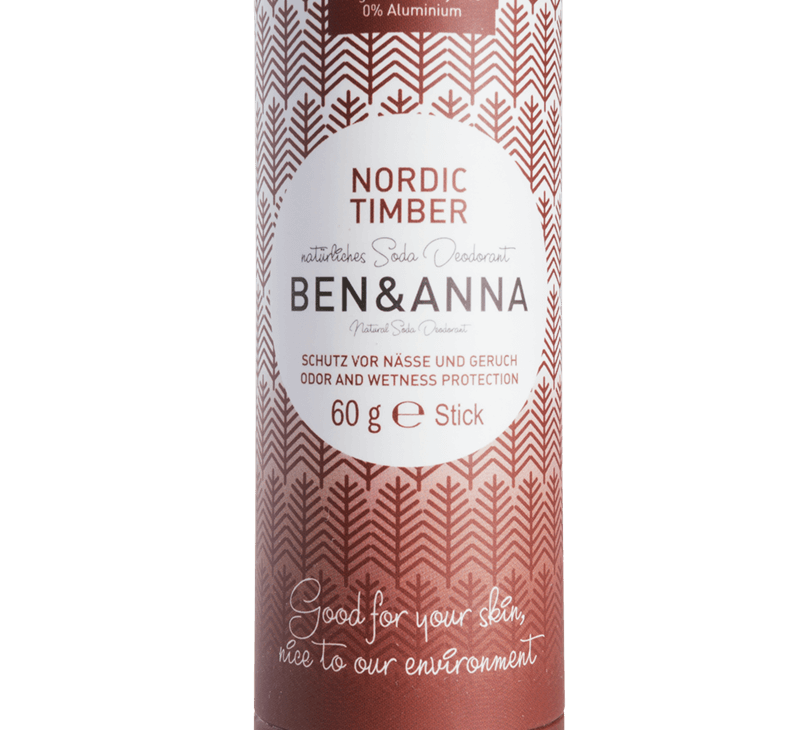 Vegan and cruelty free, plastic free, Aluminium free! Warm and fragrant. Astringent with cedar and a nuance of Palmarosa. All fresh ingredients and a scent of lime. With its bright green colors it doesn’t just look full of freshness. For men and women alike. 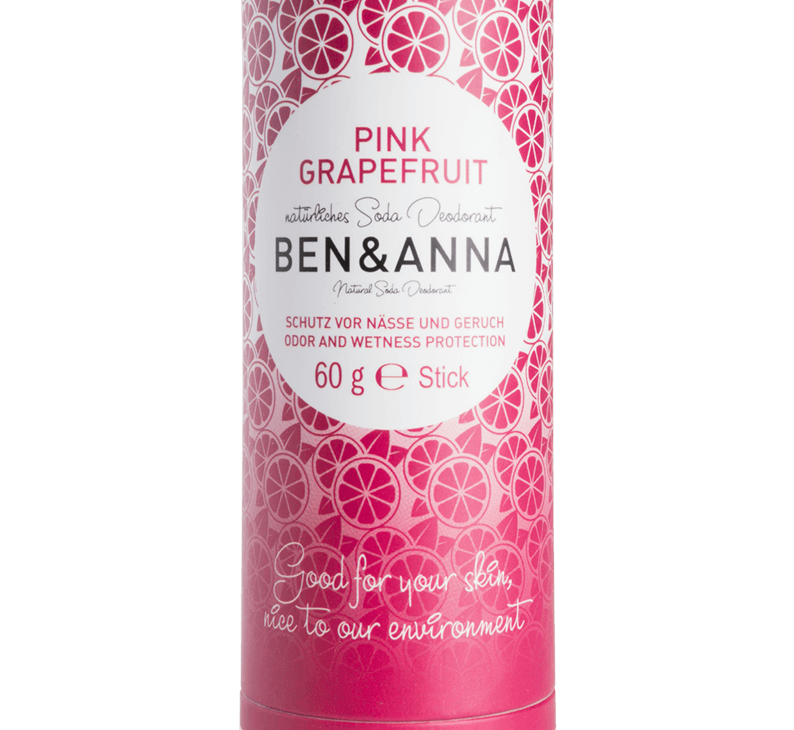 A slice of heaven with a sparkling smell that makes you feel good. fragrance combination is a must have for your next holiday trip. Blue Violet is the color of lavender blossoms. Wonderful relaxing and amazingly refreshing. 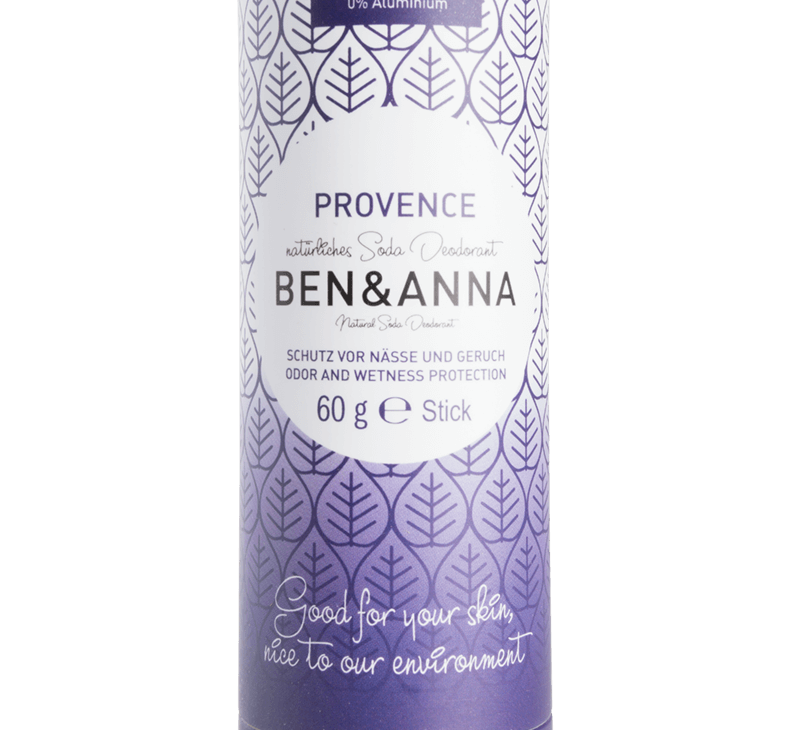 The only better way to experience the scent of this deodorant would be on a stroll through the countryside in the Provence and South of France.